“We’re quite thrilled about the prospect to present this year’s hair trends, which are quite funky, playful, bold and really girly at the same time. We worked with quite a reputable and credible list of talented people in the hair and beauty industry to compile this report, which we know will give us some sure hits our clients would love this season,” says Candice Thurston, Founder and Chief Executive of Candi & Co.
“Our company is about de-racialising, destigmatising and revolutionising the hair and beauty notions. We want to give our cis -and gender non-confirming clients the strength and confidence they need to feel beautiful and confident. A great hairstyle can make you feel 10 times more beautiful,” she adds. 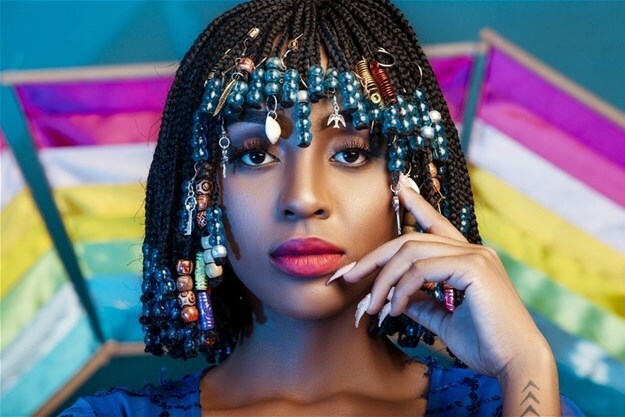 The leading female hip hop artist Nadia Nakai features as guest editor for Candiland. As part of the editorial team, she’s selected a stunning collection of custom-made wigs that features beaded braids and exquisite colourful wigs, truly representative of her vibrant personality as a performer. The beautiful and trendsetting influencers who also feature in the Trend Report include Lulama Wolf, Tumi Mohale, Jena Dover, Danni Bowler, Crystal Kasper, Kgosi “Krayzik” Modisane and Stella Nhantumbo. The Candiland Trend Report, in association with Batiste, is a digital publication featuring the hottest and latest in hair trends for 2019 and also co-stars some of South Africa’s greatest influencers looking glam with the latest do’s available from www.candiandco.co.za. “We were excited to not only partner with South Africa’s most exquisite woman but loved partnering with Batiste™, the World’s #1 Dry Shampoo brand” said Thurston. This dry shampoo is suitable for all hair types including wigs and weaves and is a quick and convenient way to instantly refresh hair between washes, leaving hair clean and fresh. “Batiste™ is a brand that is global phenomenon that really compliments what Candi&Co. is about edge, innovation and fun,” says Candice Thurston, Founder and Chief Executive of Candi & Co.
#CandiLand by Candi&Co. aims to celebrate women and provide them with an opportunity to celebrate their hair and beauty in a way that is authentic to them and makes them feel confident. Launched at the exclusive Alice & Fifth in Sandton, the festival themed event attracted Joburg’s well-heeled denizens; including media, celebrities and influencers who enjoyed specially a designed menu and cocktails. #Candiland was subsequently launched, on the same day, at the Beauty Revolution event at the Sandton Convention Centre where Candi&Co. partnered with Foschini to introduce the Trend Report to the public.